This item is can be viewed at my Etsy store. Please send me an E-mail if you are interested in getting something similar. This piece was created base on the PIPA Earrings technique. Do check out my PIPA Earring Tutorial in my store if you are interested. I made some modification on the technique to create this piece. 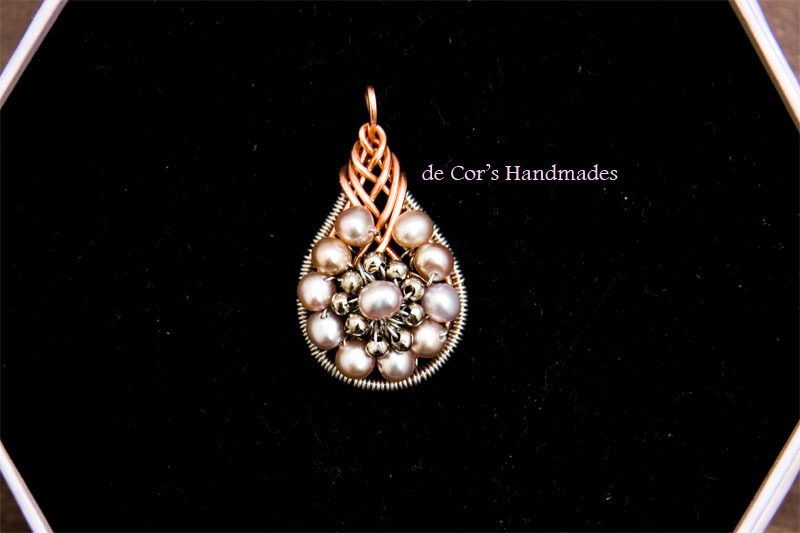 It is created with two colors and gauges of copper wires, attaching lots of tiny silver colors freshwater pearls. I added another silver colors freshwater pearls at the center and let it surrounded by lots of tiny metal beads. All arranged layer by layer. Very time consuming piece, and lots of patient and passion have been invested.